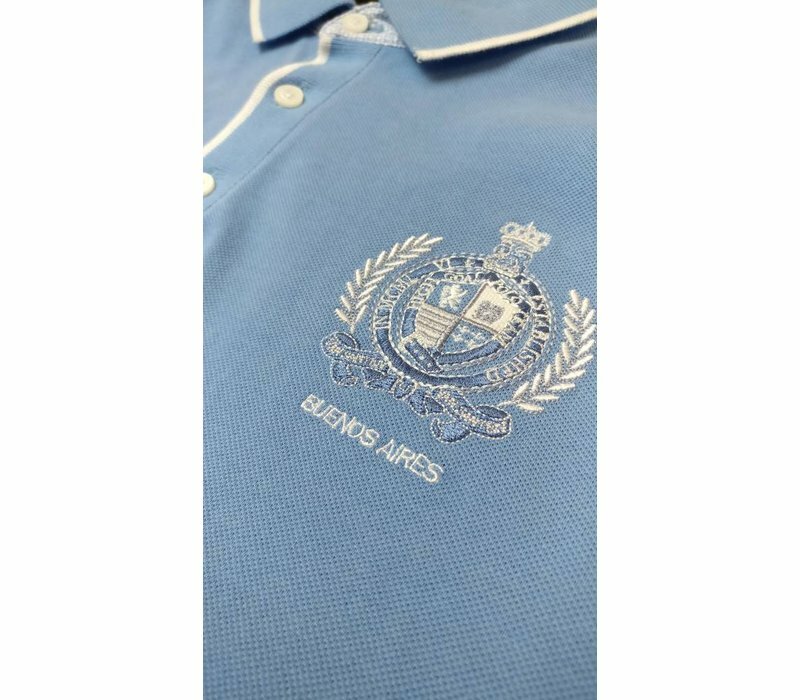 A timeless pique polo in middle blue. Unique by one rich artwork on the front, narrow white stripe in contrast on the rib collar, closure and ribbing. 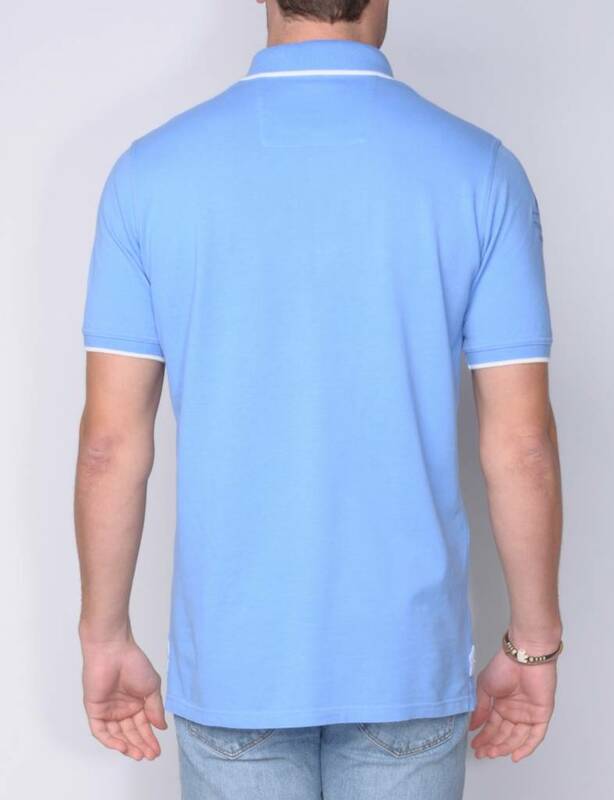 In the collar and side slits contrast fabric in white/light blue. 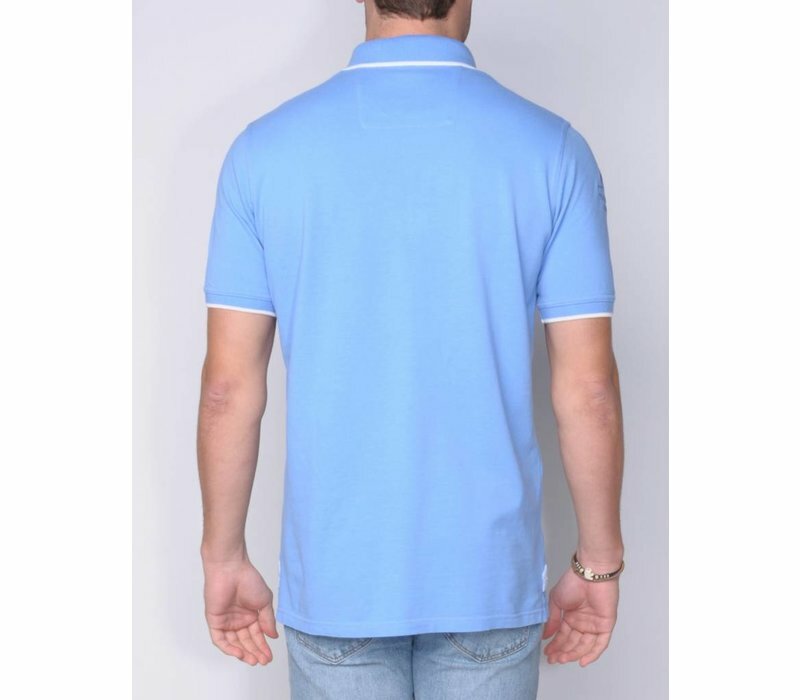 Middle blue polo shirt with rib collar. 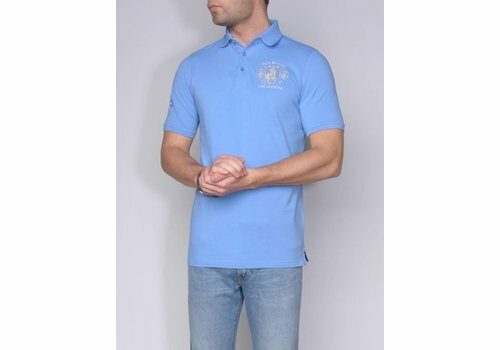 Nice wearing comfort by the use of fine, high-quality cotton yarn. Closure in navy contrast with white band. 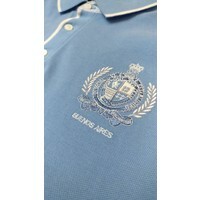 With customized, specific to the polo sport belonging embroideries. 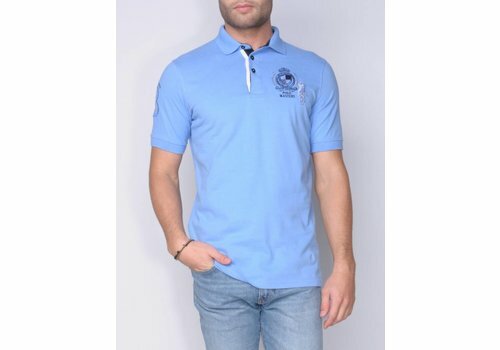 Trendy polo shirt in 100% soft washed pique in the color middle blue. Bottom of the rib collar in white. Small button closure, side slits and uniquely designed embroideries on sleeve and front. 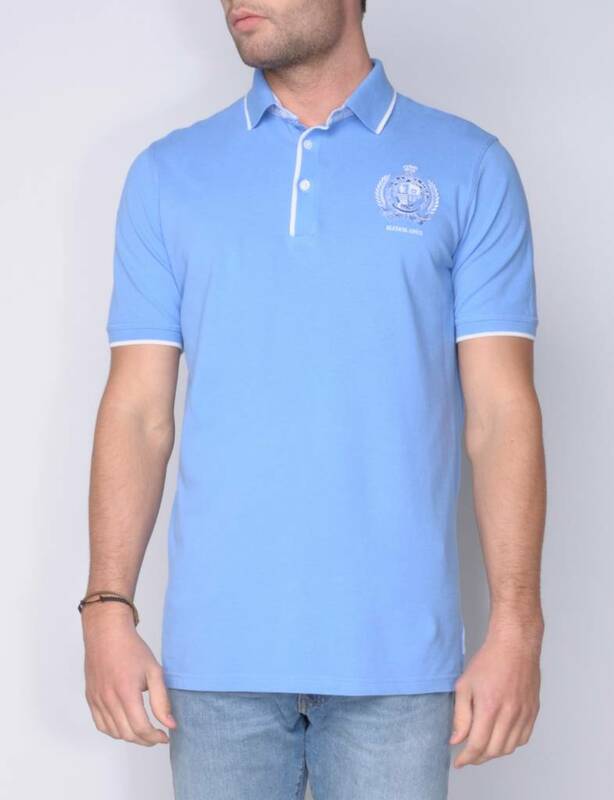 The absolute polo ' must have ' for this summer. Tough by the used color mix. 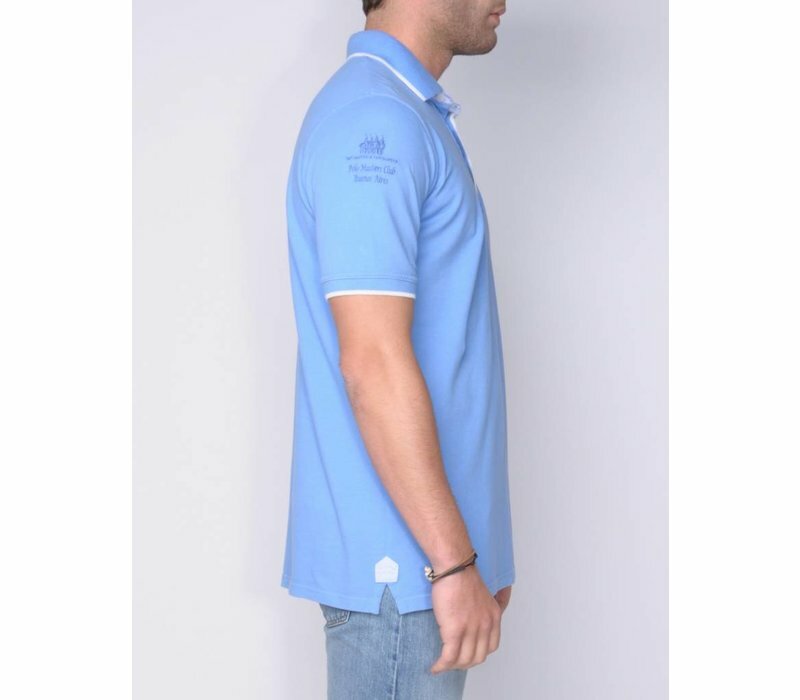 Body in middle blue, sleeves in white and under collar in navy. Small side splits with tape detail. 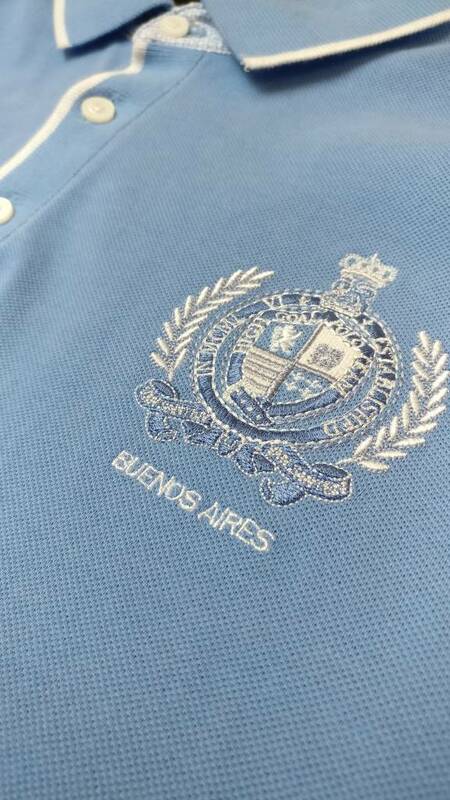 Embroideries on front and sleeve. The polo under the polo's.